Don’t think you can afford the home you want? Well, think again! 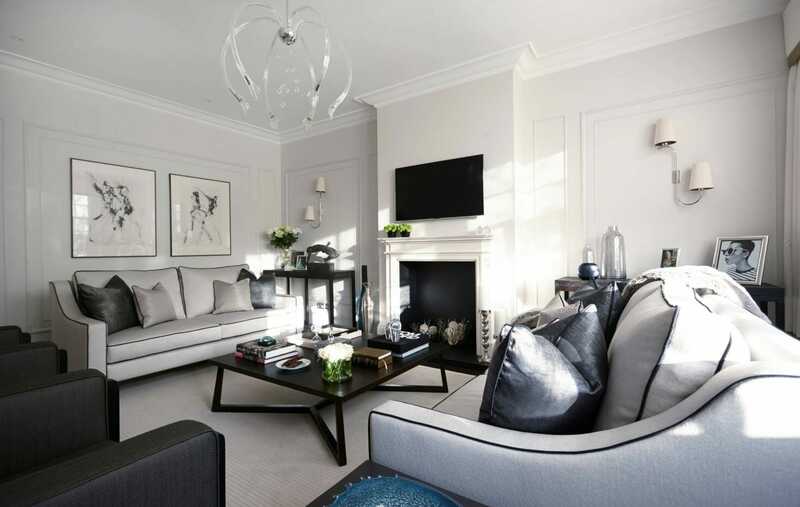 We’ve put together our top tips to help you create a luxurious interior design on a budget. Whether you’re dreaming of the ultimate in comfort or something profoundly unique, you can make it a reality. Use our tips with the latest interior trends, and then get started! First, remind yourself that quality lasts and quantity clutters. When it comes to your home design and décor, it’s better to be patient and save up for larger furniture pieces. In comparison, quick fixes tatter and look worn within a year or two. Shop thrifty or update with décor instead. Design by Decorilla interior designer, Corine M.
Mail, magazines, and papers need to go into a folder or office space. A sleek storage unit is a great buy to tidy up the workplace. Use beautiful clay bowls or stunning iron wall hooks to keep keys out of the way but still accessible. If you don’t know what something is or why you have it, give/throw it away. 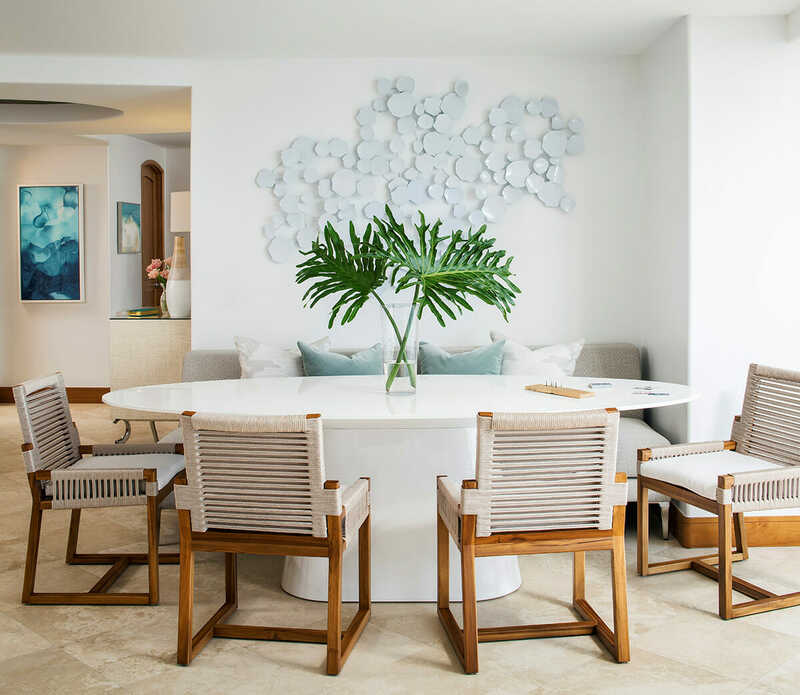 Design by Decorilla interior designer, Stella P.
Boring scatter cushions aren’t doing your luxurious interior design any favors. Mix it up with interesting scatters. Textured, metallic and patterned fabrics are all great options when updating a look. Most importantly, stick to your color scheme. When you don’t love the scatters that you have anymore, you’ll know it’s time to move on to something you do love. 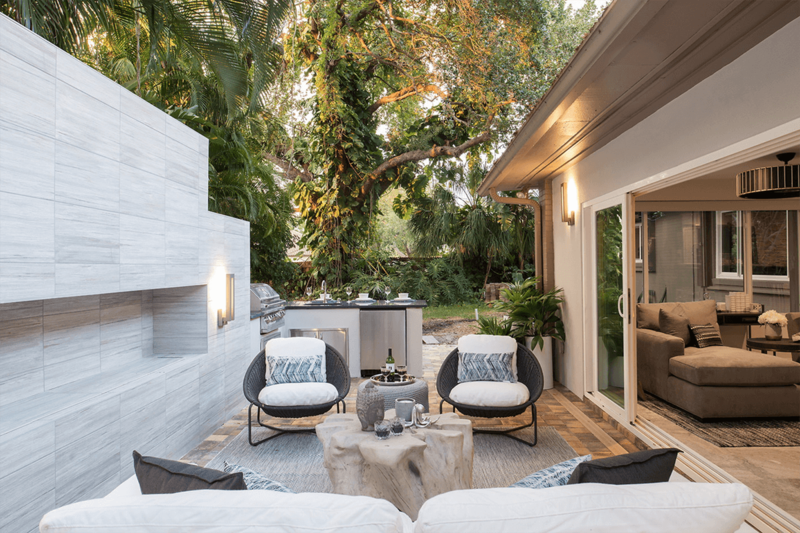 Design by Decorilla online interior designer, João A.
Updating the fixtures, especially lights, may be the surest way to create a luxury home interior. A feature light is essential in adding a little opulence to your home design and décor. Even if you splurge on a chandelier, the price is comparatively small when you consider the difference it makes in a room. When it comes to changing fixtures, you don’t have to go big. Sometimes it’s the smaller items that have the biggest impact. Begin with changing drab lampshades or the draws and pulls of the kitchen cabinets. Once you see the difference, you’ll be fixated! Design by Decorilla online interior designer, Lauren A. Have you noticed how light-filled a luxury home interior seem to be? Amplify the look with mirrors because they make a space feel bigger than it is. A sizeable ornate mirror will make a statement and bounce the existing light in your home. And a touch of gold in the mirror frame will further add to the glam factor. Create a feature wall with a large mirror that hangs or leans on the wall close to a focal light. Or, work with pairs. You can even buy multiple mirrors and set up a gallery wall. Design by Decorilla online interior designer, Roberto D.
Beautifully dressed windows are an essential feature in luxurious interior design. You’ll often see window sills with trim or elaborate dress curtains framing the glass panes. Add height to the room by positioning the curtain rail as close to the ceiling as possible. Next, dress the window with extended length curtains or swags. Keep the color of the curtains neutral for a chic look. If you don’t want curtains, install window trim. Charcoal or dark wood trim create a lovely contrast, while lighter options look super sleek. There is something about luxe rooms that humans are naturally drawn to. Try to emulate the feeling it inspires in your own home. A little paint goes a long way, certainly when it comes to the budget. Paint light walls dark or dark walls light. However, be mindful that dark walls will need more layers of light paint than the other way round. 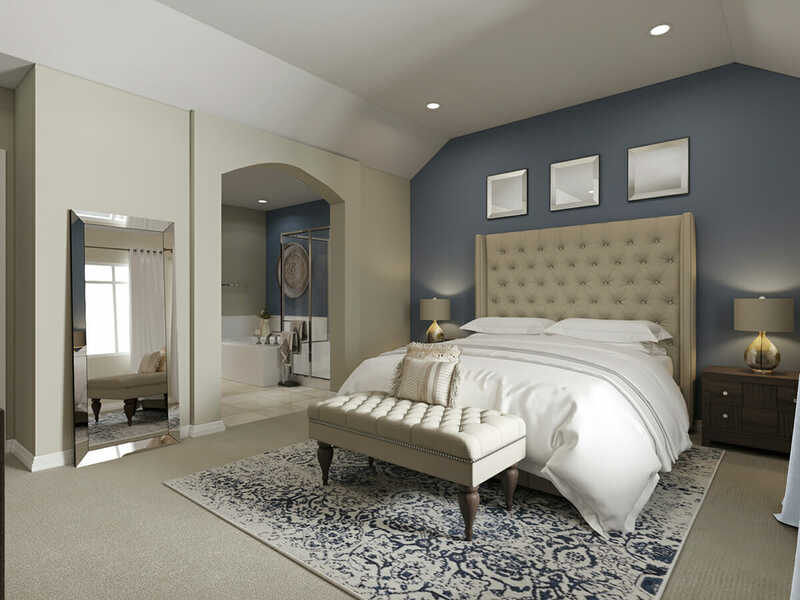 Whether you go light or dark, choose neutral tones like cinnamon, beige, cream, midnight blue, charcoal, and grey. 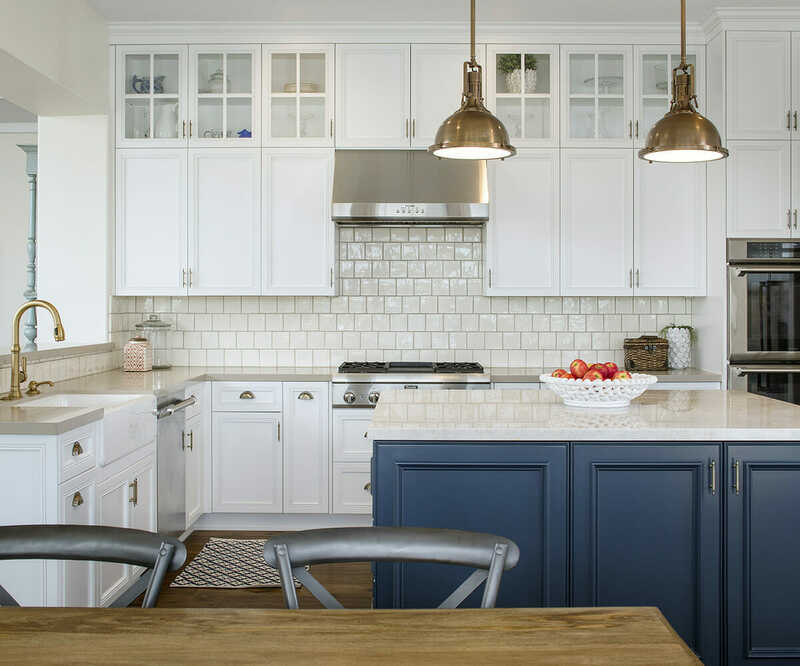 If you can afford a bit more than paint, add a new backsplash to your kitchen or retile the bathroom. Design by Decorilla interior designer, Angela S.
Last, but in no way least, splurge on a plush area rug. Images of inspiring luxury home design and décor are abundant, and most of them have a lovely rug at their center. Decide where you need the rug, get the best you can afford, and follow the rug rules for its placement. An area rug underneath a dining table should be 36” wider than the table (on all sides) to ensure smooth chair movement. In the living room, the rug should be big enough so that the front legs of the furniture stand on top of it. If a rug is room-sized, it should be between 12” to 24” from the wall on all sides. Finally and most importantly, take the time to style each room. Make peace with the fact that good things do take time and enjoy the journey. 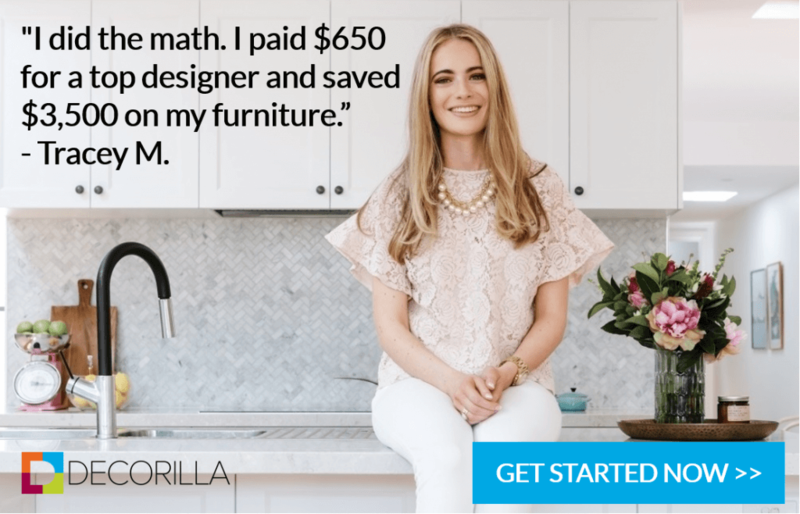 Or, speed up your luxurious interior design with expert home advice from one of Decorilla’s interior designers today! Written by Decorilla designer, Germarie B.